Barbie turns 55 on March 9, and boy does that old lady still look good! Here are a few fun crafts to do with your kids to celebrate Ms. Roberts' big day, and a few fun facts you may not have known. Recreate the iconic Barbie silhouette, but in a delicious cookie form! 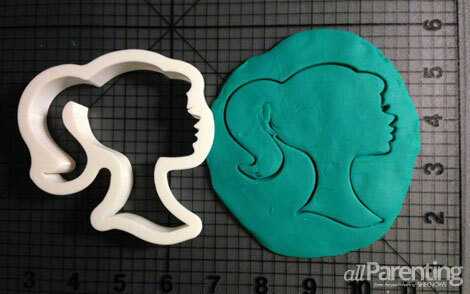 Use these fantastic cookie cutters from JB Cookie Cutters on Etsy, Ree Drummond’s amazing (yet simple) sugar cookie recipe and Sara Wells’ icing with gel food coloring (pink or black — your choice)! Fun Fact!^ Did you know the Barbie silhouette, while reported to be based on the images of everyone from Elizabeth Taylor and Aubrey Hepburn to Angie Dickinson and Marilyn Monroe, is actually simply the silhouette of the original Barbie doll? Have fun and be your own Barbie fashion designer! Pick up a few simple dresses from the dollar store, then have fun embellishing them however you see fit! Use fabric paint, rhinestones, glitter glue — the sky is the limit! Fun Fact!^Did you know Barbie’s first clothes designer was Charlotte Johnson, a teacher of fashion design at Los Angeles Chouinard Institute? She designed for Barbie for over 20 years, and was notoriously particular about the doll’s image, even refusing to allow Barbie to be sold without underwear! Make a fun photo prop recreating the recognizable pink Barbie box with foam and poster boards! Just cut an opening in foam board, then cover with pink poster board cut in the same shape (or paint the foam board if you are feeling super crafty!). 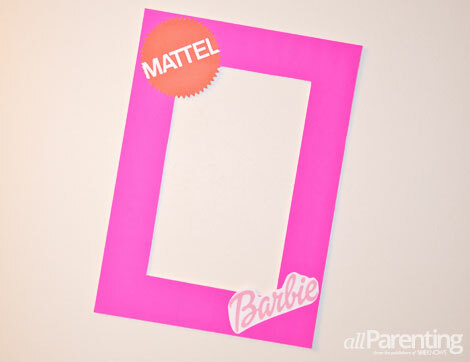 Barbie-inspired downloadable fonts are easy to find online (like this one here), as well as a printable "Mattel" symbol for the top of the frame. Once complete, take pictures of your kids as Barbie in her various occupations throughout the years. Pick a few from this great list, and be sure to mix it up from Barbie’s eras — a vintage outfit, a mod outfit, a Malibu outfit, a rock/disco/Superstar outfit! Fun Fact!^Did you know the first Barbie to come in the now classic pink box was the 1967 Twist N Turn Waist trade-in doll? This doll was only available with a trade-in of your old doll, and cost a whopping $1.50! Put those leftover Barbie shoes to use! Use a leather needle to string shoes onto clear, flexible beading cord. 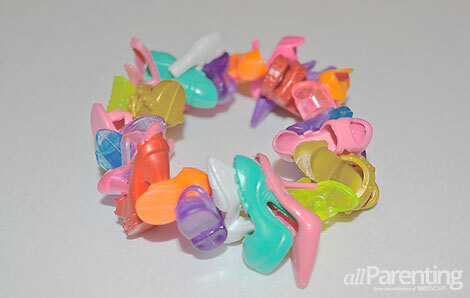 You can even make a matching necklace if you are feeling the Barbie shoe love! If you don't have any shoes Barbie's willing to sacrifice, you can always pick some up here (and the off-brand tend to be a bit easier to string). Fun Fact!^Did you know the original Barbie doll shoes had holes in the bottom? These allowed the dolls to be attached to the pedestals which accompanied vintage Barbies.